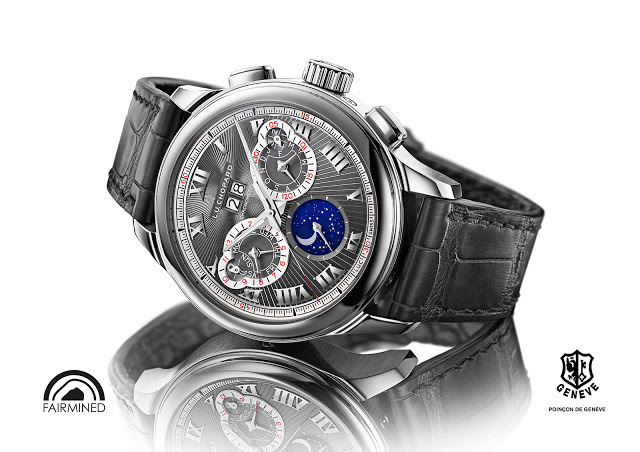 Two years ago Chopard unveiled its first in-house, manually wound chronograph movement in the L.U.C 1963. 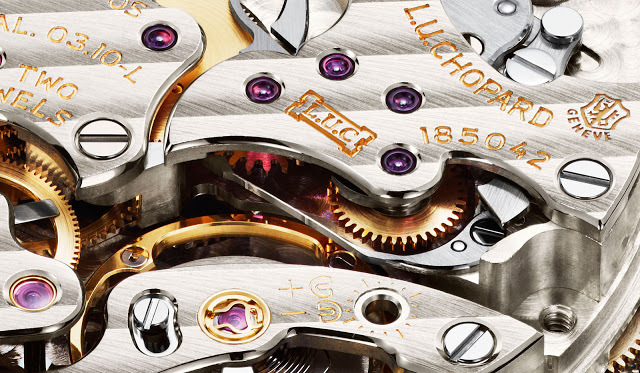 True to the traditions of the L.U.C line – the jeweller’s range of high horology watches with admirable movements – the movement inside was impressively put together. Now it has received a major upgrade with the new L.U.C Perpetual Chrono. The L.U.C Perpetual Chrono is powered by the calibre 3.10-L, essentially the chronograph movement from the L.U.C 1963 wristwatch with the addition of a perpetual calendar mechanism. 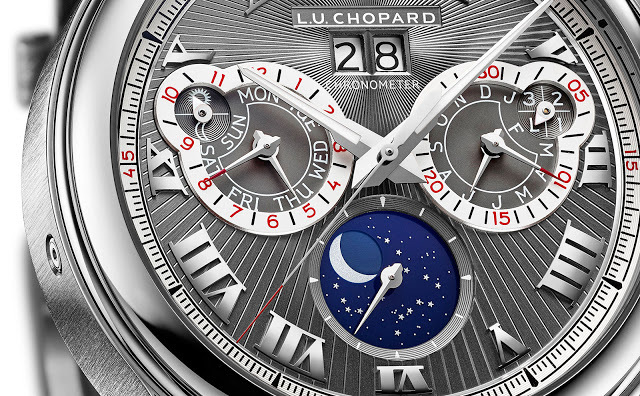 Both complications are polar opposites – the perpetual calendar measures time in decades while the chronograph is concerned with mere hours and minutes – but together they form a complication cocktail that’s traditionally included in the repertoire of high-end watchmakers. A sapphire case back reveals the intricacies of the chronograph movement, including the impeccably finished components. Though the movement decoration is traditional and elaborate, the chronograph is constructed in an efficient, modern manner. The rear of the movement (left), and the side that is hidden under the dial. The power transmission mechanism of the chronograph, for example, is a vertical clutch that allows the chronograph to run continuously without affecting timekeeping. That contrasts with the more traditional horizontal clutch, found in most high-end chronograph movements, which creates friction that eventually slows the movement. The dial is a disc of solid gold, given a radiating guilloche and coated a dark grey. 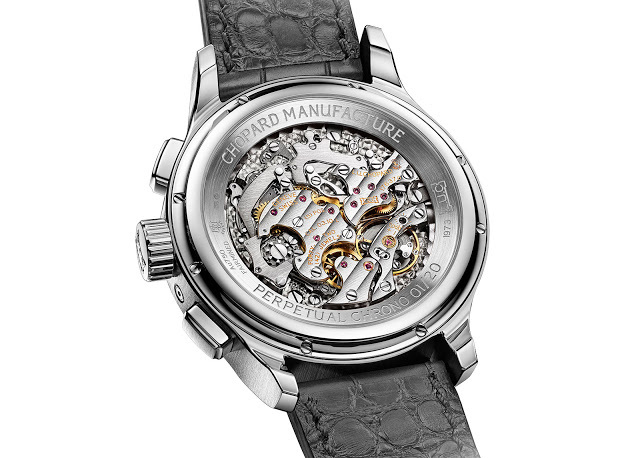 It features an oversized date display at 12 o’clock, one of the key features of Chopard’s perpetual calendar mechanism, and the other calendar functions in sub-dials at three, six and nine o’clock. A large 45 mm in diameter and some 15 mm thick, the 18k white gold case of the L.U.C Perpetual Chrono bears the Fairmined certification, meaning the raw gold was sourced from socially responsible mining cooperatives in Latin America. 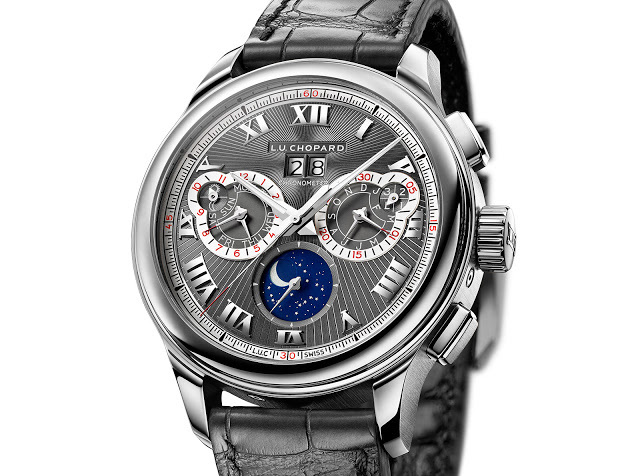 The L.U.C Perpetual Chrono is a limited edition of 20 pieces, with a price of S$121,890. That’s equivalent to about US$85,000. Now an annual tradition at Watches&Wonders, Vacheron Constantin unveils a unique timepiece that will never be repeated, the Maître Cabinotier Perpetual Calendar Regulator.